The oceans energy meets sky and land. Waves wash away the footprints in sand. 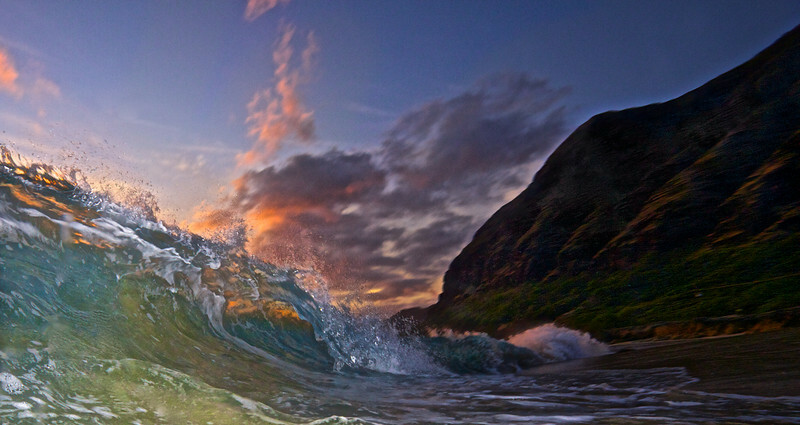 Surf breaking on shore, with a setting sun in the background.